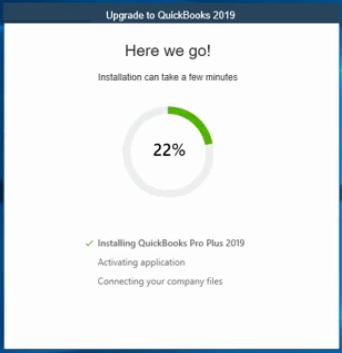 If you're an active subscriber of QuickBooks Pro or Premier Plus, or if you have a QuickBooks Enterprise Subscription in the US, you can now seamlessly upgrade your QuickBooks Desktop to the newer versions available. We introduce the Easy Upgrade! No more wasted time going through a lot of steps to download, install, and register your QuickBooks, and update your company files. All you have to do is to connect your computer to the internet, do a few clicks, then you’re good to go. When a new software is available, you'll see a prompt to upgrade when you launch your QuickBooks. Mark Keep old version on my computer box if you prefer to have both old and new QuickBooks versions, then select Let’s go. Let the upgrade run. This process installs and registers the new version, and creates an updated copy of your company file. Note: The duration may vary depending on the speed of your internet and the size of your company file. 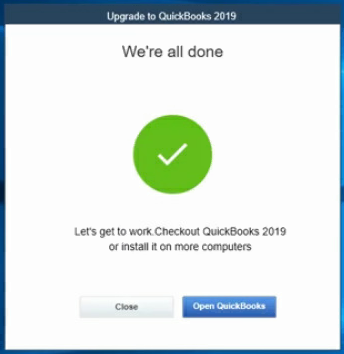 You can now start using your new QuickBooks version!